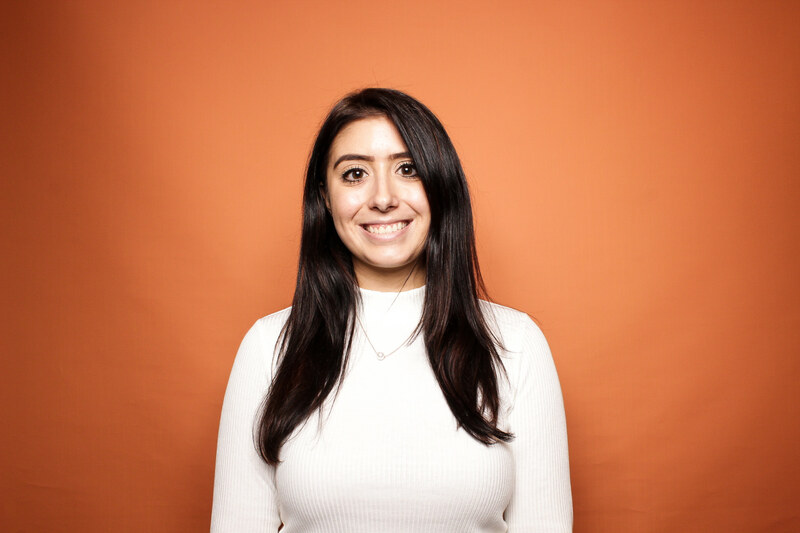 We all know that one of the best things about HubSpot is that you are able to have all your business needs in one place. The data that you enter into HubSpot to analyze and track your leads is critical for accurate reporting. That being said, manually entering the data can not only be time-consuming, but also pose a risk in user error. There can be situations where some of that data is already on the associated record. Maybe you have the city stored for the contact and the associated company needs the same information stored under its city property. Wouldn't it be nice to be able to automate the values to copy over? 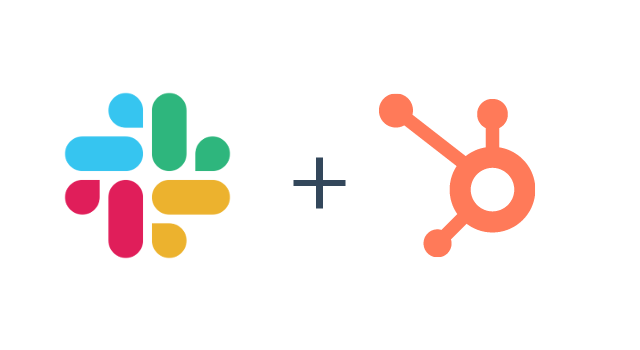 Well, I will let you in on a little secret here: there's a way to achieve that with the HubSpot workflows tool! Keep reading to learn how you can use workflows to boost efficiency and improve the accuracy of your reporting. HubSpot is able to store information for different records using a combination of HubSpot default properties and custom properties. Different properties are used to store information for each record type. These records can be associated, but this doesn't sync the property information between the records. Instead, these values can be added in bulk through the import tool, or if you're a Professional or Enterprise customer, you can use the workflow tool to set these values automatically. When creating a workflow from scratch, there are different types that you can select from based on the record type you would like to enroll. 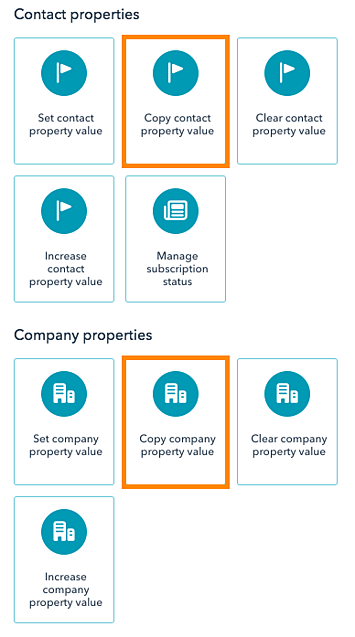 With workflows, HubSpot can automatically copy the value of one property to another — which can be really helpful since HubSpot doesn't automatically sync properties between associated records. However, there are some limitations to the properties you can copy, depending on your workflow's type. Contact-based workflows are intended to automate contact functions during their lead nurturing process. Contacts that meet the enrollment criteria would enroll through the workflow and execute the actions set. Nearly everyone in your team can benefit from this type of workflow because it helps add the property values correctly so your team can spend more time doing important tasks. Within your CRM, you may have contacts associated with an associated company. Contact property values don't automatically sync with the values of the associated company. 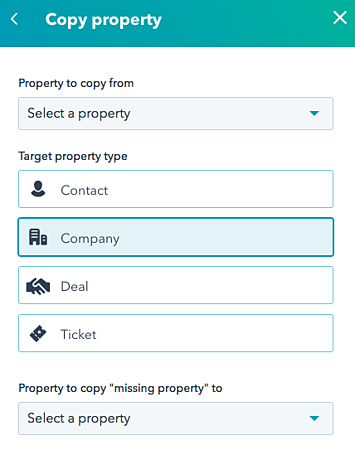 If your team wants to see these property values on the company records, then using a contact-based workflow to copy contact properties to company properties would be a perfect solution. When adding an action to contact-based workflows, there are two options for copying properties. 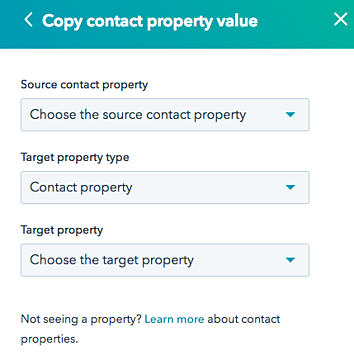 Source contact property: The source property is the contact property that you would like the property value to copy from. Target property type: The type of property you want to target. Select Contact property if you want to copy a contact property to another contact property. Select Company property if you want to copy a contact property to the associated company property. These are the only two options available here because contacts can be associated with one company. 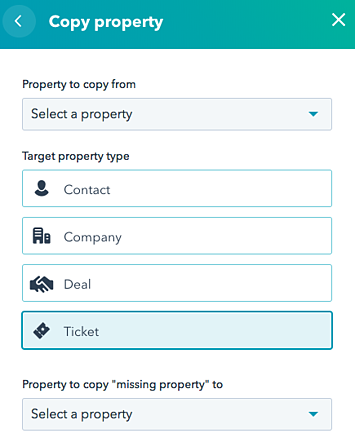 The workflows tool has the ability to copy the property value for the same contact record or to the one company record that the contact is associated with. On the other hand, contacts can be associated with multiple deals, tickets, and quotes. Workflows don't have a way to define what specific deal, ticket, and quote to copy the value over to. Target property: The property you want to copy the value to—or in other words—the property that will be changed. If you don't see the property you wish to select here, it may be due to the property type. If that's the case, check out this chart to determine if the property types are compatible. Source company property: The company property from the associated company that you want to use the value for. Target property type: The type of property you want to target. Select Contact property if your goal is to copy the company property to the associated contact. If you want to copy the company property to another company property of the same associated company, then select Company property. Target property: The property that you want to change. The value of the source company property will be copied to the value of the property you select here. 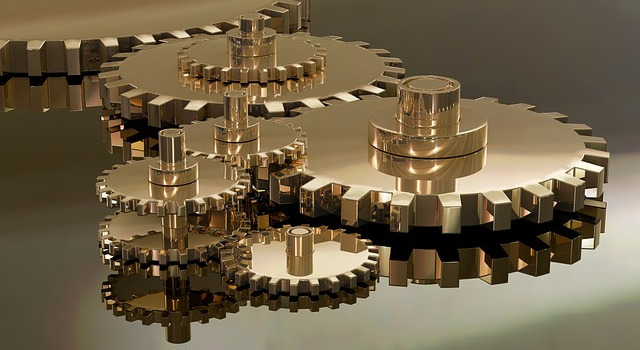 Company-based workflows help automate the process for companies. A company will enroll through this workflow to execute actions. Your CRM contains company records that store a lot of information through the company properties. When creating a new contact, deal or ticket, there can be some information that you want stored on the record as well. 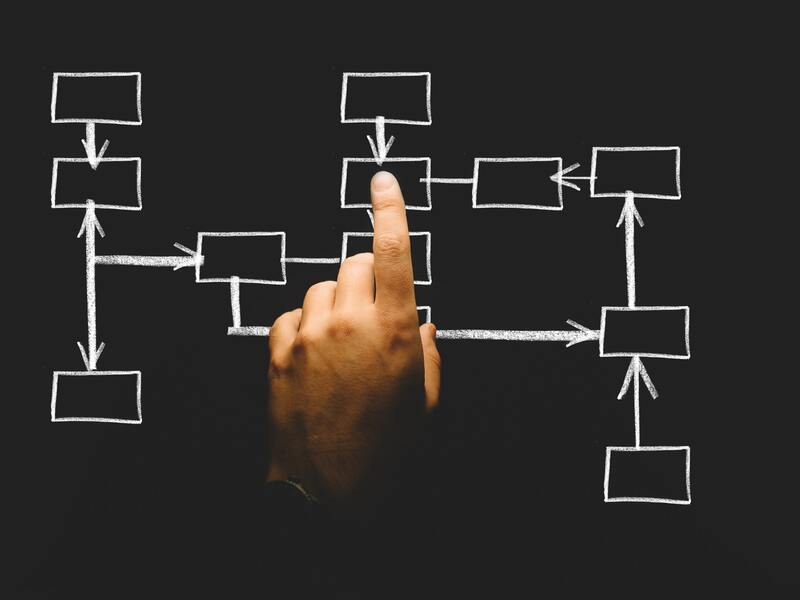 Time is very valuable to you, so instead of manually adding this information to these new records, you can use a company-based workflow to fill values to the associated records. After selecting the "+" icon to add an action, select "copy property value" under the Property management actions. Property to copy from: The company property that you want to use the value for. Target property type: The type of property you want to target. Select Contact if you want a company value to pass onto the associated contacts. Select Company if you want to copy a company property value to a different company property value. Select Deal if you want to copy the company property to the associated deals. Select Ticket if you want to pass on the company property value to an associated ticket property value. Property to copy "company property name" to: The property that you want to change. The value of the source company property will be copied to the value of the property you select here. Deal-Based workflows help automate the deals in your pipeline. The deals that meet the enrollment criteria will enter the workflow and follow the actions you set within the workflow. These type of workflows can come in handy when your sales team needs to report on their deal performance! If you already have an existing deal running through your pipeline, that deal may hold a lot of important information for your team. When creating a new ticket that will be associated with the deal, you may want to see that important information within the ticket as well. 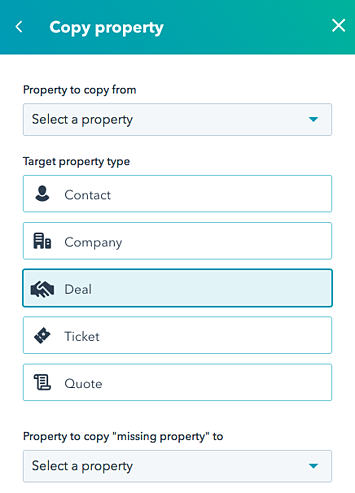 Instead of entering in that same information manually for the ticket, you can use a deal-based workflow to copy the property values from the deal properties over to the properties of the associated ticket. Property to copy from: The deal property that you want to use the value for. Target property type: The type of property you want to target. Select Contact if the goal is to copy a deal property to an associated contact property. Select Company if you want to copy the deal property value to a property from the associated company. Select Deal if you want to copy the property value onto another deal property value. Select Ticket if the property value you want to copy to is from the associated ticket. Select Quote if you want to a deal property value to be replicated on an associated quote. Property to copy "deal property name" to: The property that you want to change. The value of the source deal property will be copied to the value of the property you select here. 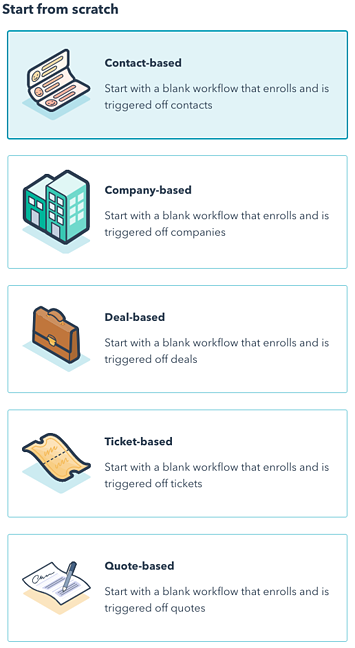 Ticket-Based workflows are built to automate the tickets in your CRM. Tickets can be used to store the inquiries from your customers. At this time, only Service Hub Professional and Enterprise customers can use the ticket-based workflow feature. 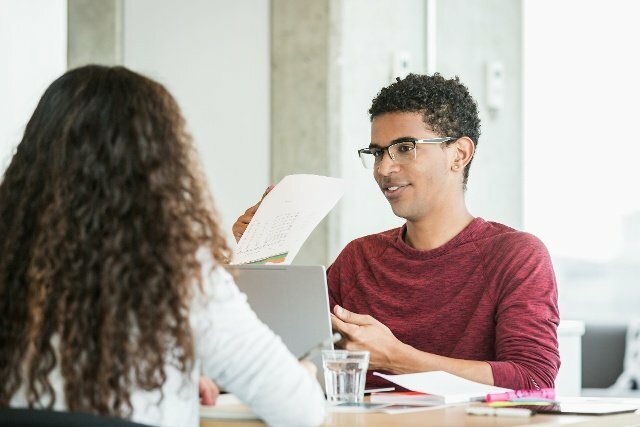 This can help your customer service team manage custom demand and capitalize on opportunities to improve the customer experience! While working on an active ticket, there might be some important information stored in the ticket properties. Although the ticket is about to close, that information is still important for your team. If you want this information to be visible for your team on the associated contact record, you can use a ticket-based workflow to add the ticket property values to the contact record. Select Contact if you want the ticket property value to be stored in a contact property value. Select Company if your goal is to have the ticket property value also on a company property. Select Deal if the deal associated with the ticket should have the value from the ticket property onto a deal property. Select Ticket if you want to add a value for another ticket property. Property to copy "ticket property name" to: The property that you want to change. The value of the source ticket property will be copied to the value of the property you select here. Quote-Based workflows automate the quotes in your CRM. If you are a Sales Hub Professional of Enterprise user, you can use the quotes feature to send leads a page with pricing details for the product you are selling. This can really help your sales team get Quotes to your leads faster. 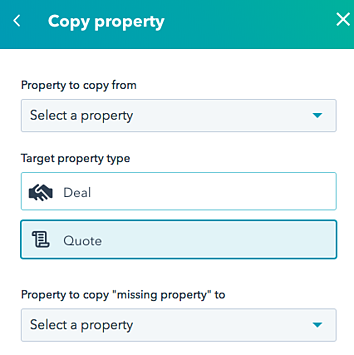 If you have important information stored on the quote that you want visible on the associated deal for your team to easily see, then you can use a quote-based workflow to copy the quote property value onto a property of an associated deal. Property to copy from: The quote property that you want to use the value for. Select Deal if your goal is similar to the use case, where you want to have a value from the quote on a deal record. Select Quote if you want to copy the value from the quote onto another quote property. Property to copy "quote property name" to: The property that you want to change. The value of the source quote property will be copied to the value of the property you select here. Workflows are a powerful tool that can dramatically influence your sales, marketing, and service teams. Manually entering in data into the CRM can be tedious, but with the Workflows tool—it does not have to be. Let HubSpot save you some time so you can use it for far better things.